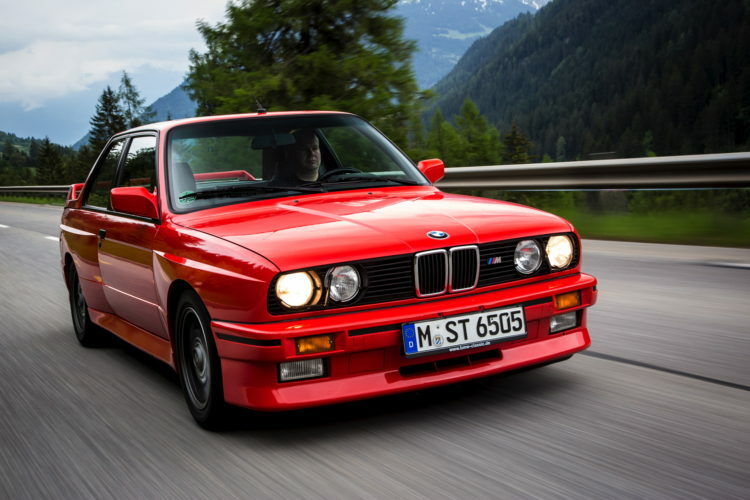 If there is one BMW model that has put the Motorsport division on the map, then it has to be the legendary E30 M3. The compact sports car was introduced in 1987 for DTM racing, which it won twice (1987 and 1989). BMW wanted to provide a competitor for the Mercedes-Benz 190E “2.3 16-V” and the Audi Quattro cars. The road-spec vehicles were primarily built for homologation purposes since 5,000 units were required to be produced so that the car could compete in the World Touring Car Championship (WTCC). The S14 engine was derived from the M1, getting a naturally aspirated 2.3-liter inline-four capable of generating 191 hp. It was paired to a five-speed manual gearbox. Later on, BMW also built the more powerful “EVO2” and “Sport Evolution” models with the latter getting a 2.5-liter inline-four developing 235 hp. European customers also got a convertible variant in 1988, although it didn’t land on the United States shores. 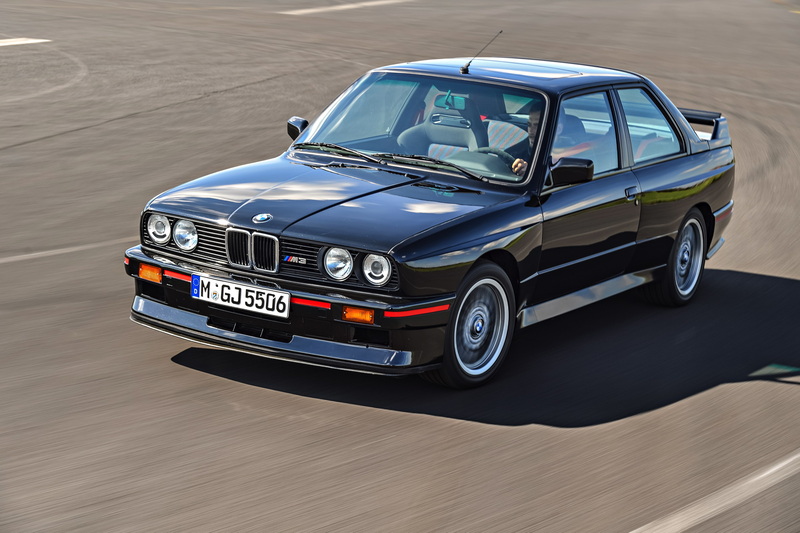 Based on the 1986 model year E30 3 Series, the first M3 was introduced with a 2.3 liter inline-four engine producing 192 horsepower. The engine design was based on various BMW genealogy – basic block layout from the M10 4 cylinder (found in the 2002 and 320 series) overbored and reinforced to similar specifications of the BMW M88 inline-6. 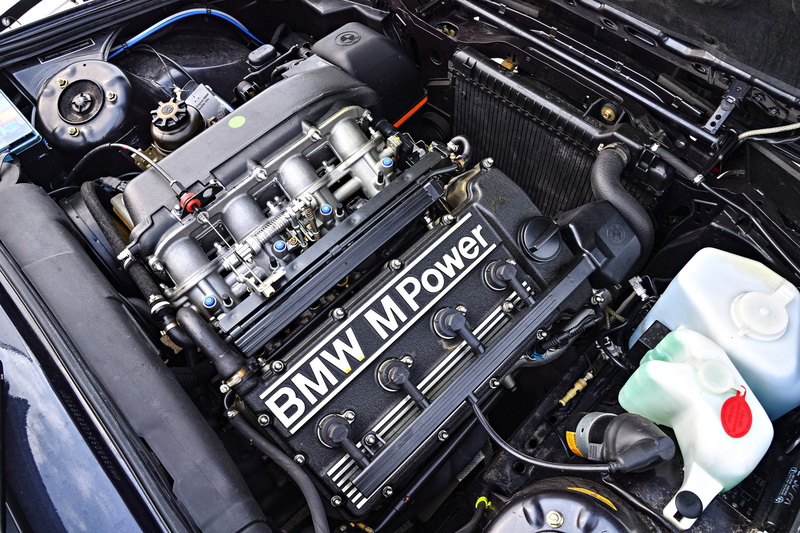 When the E30 M3 was in its final years of top level competition, the 2.5 liter S14 engine in full race trim was capable of over 340 hp (250 kW) naturally aspirated. While the M3 went on to dominate the motoring arena, winning the WTCC, 24 Hours of Spa and Nurburgring, the British Touring Car Championship and the Italia Superturismo Championship, the road models weren’t a resounding success from the word go. Yet, 18,000 units were sold, with around 5,200 making way to the USA. The E30 M3, arguably a motoring icon of the sports car world, has a near perfect weight distribution with a slight bias towards the front-end, leaving the rear-end to drift out perfectly with a slight lean on the throttle. To bring to life the story of the E30 M3, BMW M has recently commissioned a photoshoot where the standard E30 M3 was joined by the rare EVO Sport Evolution model.